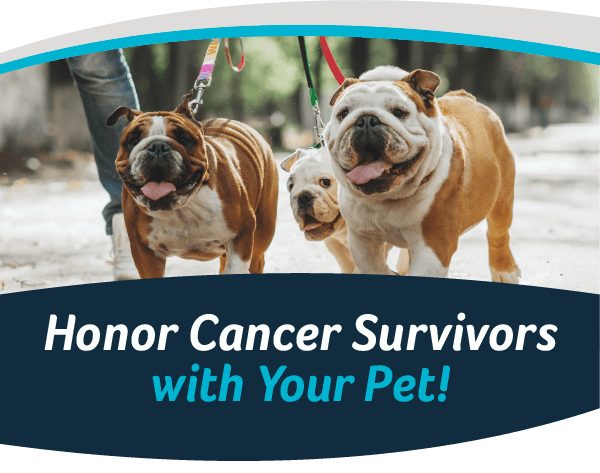 Honor Cancer Survivors with Your Pet! Join the Juanita Bay Veterinary Hospital team at the American Cancer Society Paws for a Cause event at Juanita Beach Park on May 18th from 9:00am to 2:00pm. Strut your mutt in support of the fight against cancer at a 5K Fun Walk and stick around to enjoy the day’s fun activities which include a dog agility course, costume contest, vendors, food trucks and even dog nail trims! There will also be a free lunch for all of the amazing cancer survivors in the crowd. Juanita Bay Veterinary Hospital is a very proud sponsor of this family-friendly, community event and we can’t wait to see you all there! Learn more about the event online and how you and your pup can help raise funds to support this worthy cause.